Summer time for the athletes of Squid Acres is almost as busy as the winter. When we return from our annual arctic trip, we put the mushing gear away and hit the RESET button. We begin working towards winter once again. Summer is the time when we try to make our money for the year and also get any major projects finished and out of the way. The whole team works in the summer to make this happen. The dogs, and the mushers are all working hard to make money and to get ourselves ready for fall training in September and our annual migration back to training camp in Eureka.. in the meanwhile this is what we are all up to. 40 of our dogs are running on the Denver glacier in Skagway, Alaska with the company Alaska Icefield Expeditions. Amanda Brooks is taking care of our dogs and giving rides to tourists up on the glacier. You can fly up on the glacier by helicopter and then get the chance to hang out with the dogs and go for a dogsled ride with Amanda. It is a pretty cool experience for the tourists and the dogs absolutely love the chance to get to run in the summer. We found early on in our days of mushing that the dogs, like us, are not a big fan of the hot buggy summers in Fairbanks. Going up to the glacier gives them the opportunity to do what they love most. Run on a daily basis. The snowy glacier keeps them cool and is bug free. While they only run a few miles each day it helps keep the dogs in shape and helps keep them mentally happy. Huskies are bred to run… so they need to run to be happy. The young dogs get the chance to get into a daily routine of being harnessed and run. When fall training comes these guys are already pretty mellowed out by the daily runs and are all muscled up. Guests and dogs are flown to and from the glacier by helicopter. Okie and Oz get fired up in lead. Weasel and Dundee in team working hard! Boron the biggest boy on the team. feet like pie pans. Atigun needs to nuzzle her muzzle in your face. Not all of the dogs like the glacier, we keep a handful of the shy dogs home each summer so that they don’t have to be around the people and the helicopters. These dogs get to live in our big pens and go for free walks several times a week. We take them for free runs on the local trails and take them swimming at little ponds and lakes. Bleeker gets to play with his frisbee of course. They also get to spend a lot of time in the house with us and our dog-sitters. The dogs at home live a very spoiled summer lifestyle.. but they deserve it! As the name of the kennel suggests… we like squid and fish. Paige is a fish biologist and through our company Spearfish Research, Paige does a multitude of fisheries work around Alaska in the summer. The job takes her to different native villages in the vast Yukon River Drainage of Alaska and the Yukon Territory. Most of the projects focus on Chinook salmon, but she also gets the chance to work with with other fish such as chum salmon and sheefish. Chinook or King salmon are currently in an unprecedented decline and it is affecting the subsistence and commercial fishing lifestyles of people throughout the Yukon River Drainage. She is currently working in the village of Emmonak out on the delta of the Yukon River. This project is looking at juvenile Chinook salmon, determining timing of their migration out to sea and looking at their overall health. After this project, she will lead a group of subsistence fisherman, some from Russia and some from Canada, on a trip along the Yukon River to visit fisherman from other villages in a cultural exchange. Check out the video below from the trip she did in 2012 bringing Canadian subsistence fisherman to Alaska to see the issues with Chinook salmon in their villages. She will also be involved in some other salmon studies later in the summer and a sheefish project on the Alatna River. These are some exciting projects in some really neat areas of Alaska. Cody splits his summer between being an archaeologist and building dogsleds for other mushers. 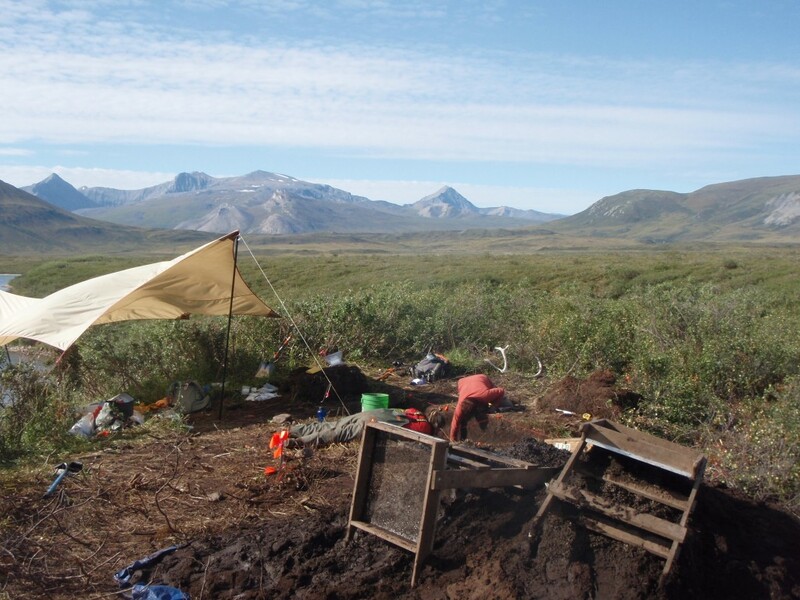 He works throughout the villages and remote areas of Alaska on different archaeological projects. Most of the projects work to identify archaeological resources before development projects can move forward. This is part of the EIS process. If archaeological resources such as artifacts or human burials are found, the project is put on hold until another location or route can be identified or if approval from all stakeholders is gained, the materials are excavated in a scientific manor and repatriated to the people of the area to do with as they wish. This summer he is spending a few weeks in Kotzebue working on an excavation of cultural materials to help with airport construction. While out there, he’ll also went to the village of Kiana to do a survey of cultural resources for a development project there. Later this summer he’ll be working for the National Park Service surveying for archaeological sites in Gates of the Arctic National Park. 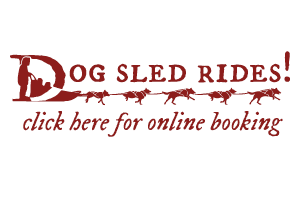 When he returns from a summer of field work it will be time for him to get in the shop and build dogsleds again for his dogsled company, DogPaddle Designs. 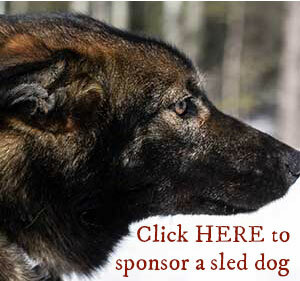 He builds all type of dogsleds for racing, freighting and recreational mushing. For us, summertime really is about working hard and making money to support us for the rest of the year so we can spend the winter training and exploring with the dogs. That doesn’t mean that summer has to be a bummer. These field jobs keep us on the move and keep our thirst for adventure quenched while we dream of running dogs. The trips in the Alaskan back-country and to the villages also help our racing as well. We get the chance to meet mushers and visit kennels throughout the state while we are on these jobs. We’ve even gotten dogs from people in the villages of Eagle and Koyokuk that Paige had worked with on fish projects. Paige bringing puppy Jones up the Yukon River from the village of Koyokuk, two summers ago. These connections with folks in the villages is amazing. Cody just met an elder in Kiana that had run dogs his whole life and they had amazing conversations about the old days of dog mushing. These trips can also be a sort of training for racing. They allow us to scout some of the areas that we will race or do future expeditions in. It is fun to roll into a checkpoint in a remote village and have your friends from the village come down to see you. Makes you feel like home on the trail and it has a comforting effect that we do believe helps with the racing. Everything you can do to feel comfortable out there helps! So as you can see summer is a busy time in Alaska, but in 2 short months we’ll be hooking up the team daily again and we can’t wait! You two never cease to amaze me. Not only do you mush but you give so much back to our wonderful land. I really respect you both. Kit. Amazing life for one very amazing and beautiful lady! Love your web site. Always try to track your progress during races. Previous post: Cody’s Yukon Quest Recap.. Start to Dawson City. The long winded version.